Have you ever had to get your car unstuck in snow or ever wondered how to get a car unstuck by yourself or how to get a car out of a ditch? If so you know how much of a pain it can be. If you are not prepared properly it can cost you a lot of time, money and headaches. In order to help you plan for the next unexpected time your car gets stuck in snow, ice, mud or sand, we are going to talk about one the best ways to get your car unstuck. Since we can't predict when we will get stuck in snow, it's always best to plan ahead. Many people think of planning ahead in different ways. Some people do research and then buy or make something that will help them accordingly. Others think that by just having a cell phone they are planning ahead. Then you have people that don't plan ahead at all thinking it will never happen to them. Which one are you? The planners are the ones that anticipate emergency situations like getting stuck in the snow, ice, mud or sand ahead of time and make preparations to deal with it. They are the ones that are usually calm when it does happen and take action very quickly and easily. Another great thing about the planners is that they usually save a lot of time and money by being prepared. They can also potentially save lives depending on the situation. People that think they can just call for help are often times not planning at all. Depending on the geographic area, your cell phone may not work where you get stuck. If it's during a widespread weather event (like a blizzard), it may also take a while for help to arrive. If you do end up needing help to get unstuck and you have to get a tow truck to help you, it will cost a lot of time and money. Tow Trucks usually take at least an hour to arrive and cost hundreds of dollars. Why do I need to plan? So by now you may be asking yourself, "How can I get my car unstuck from snow?" Now with one easy step you can be a planner and get the best product to help get your car unstuck in the snow. You can get The Portable Tow Truck tire traction device. Now you can have the same tire traction mat that the largest fleet companies in the world use to get their fleet vehicles unstuck in mud, snow, ice and sand. Check out our website to lean more about the product and watch our VIDEOS to see the product in action. If you have any questions about the product at all call or email us as we'd love to talk to you about the product. You can also visit our BUY NOW page to check out other car safety supplies to help you in time of need when you have an unexpected roadside emergency. 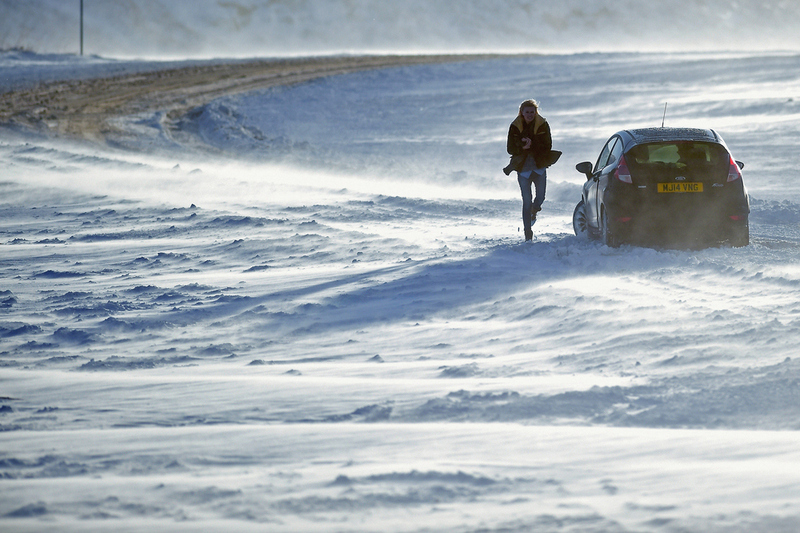 Like we just talked about, preparation is key and now you can be better prepared to help get your car unstuck in snow. Please visit and like our Social Media sites below and leave a post comment below as well as we'd love to hear from you. Wow, what an amazing product. I am a new driver and wasn't aware of this product, this is so amazing for snowy winters. Thank you so much for sharing this with us. Thank you for commenting. Yes, the largest commercial fleet companies in the world use our product to get their cars, trucks, vans and 18 wheelers unstuck in snow, ice, mud and sand. You can use the same product that they use to help you do the same. Let us know if you have any questions about the product and how it can help you. Thanks, Curtis. Lmao that's ironic that you talk about snow since it decided to randomly snow like crazy here. But I'd agree with all the tips in this post, being prepared if you're going to travel is a must. What would you say is the number 1 tip?